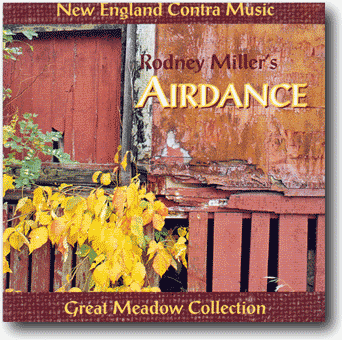 AIRDANCE recalls the musical explosion of Rodney Miller’s original Airplang albums which inspired the New England contra music revolution. Celtic, traditional and even jazz tunes flower on strong contra dance roots, and reflect the continuing vitality and vibrancy of the New England contra scene. Rodney’s famous fiddle is featured, but each member of the band has time in the spotlight. Each musician is a leading New England exponent of his or her instrument. The fusion of these talents creates musical magic.